Combine all ingredients and put into a donut pan. Bake for 25 minutes at 325F. Mix all dry ingredients together. In a separate bowl mix all wet ingredients. Next while stiring dry Ingredients slowly stir in wet ingredients. Last fold in the chocolate chips. 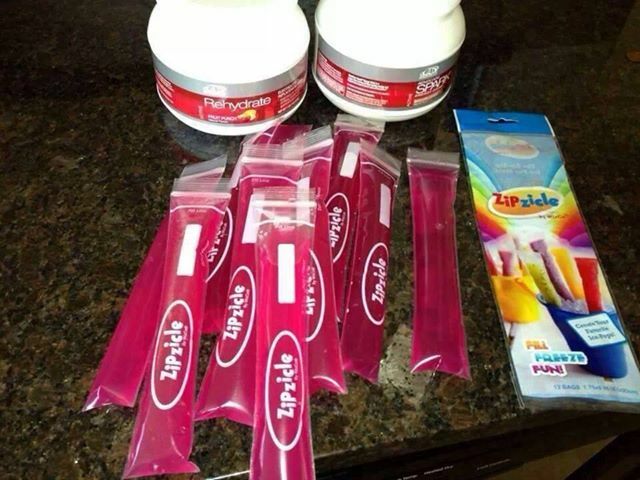 Mix One Packet of Spark Energy Drink and 10 ounces of water per popsicle. Add to mold or ziplock and freeze for a few hours. Take out of freezer and eat!! These were made with Fruit Punch Flavored Spark. I love the Mango Strawberry too though! Mix all ingredients except for the peneanut butter together until its a thick chocolate paste. Next fill half of a paper cup with the paste. Put the cup in the freezer for 20 minutes. Take the cup out of the freezer (it should be fairly hard). 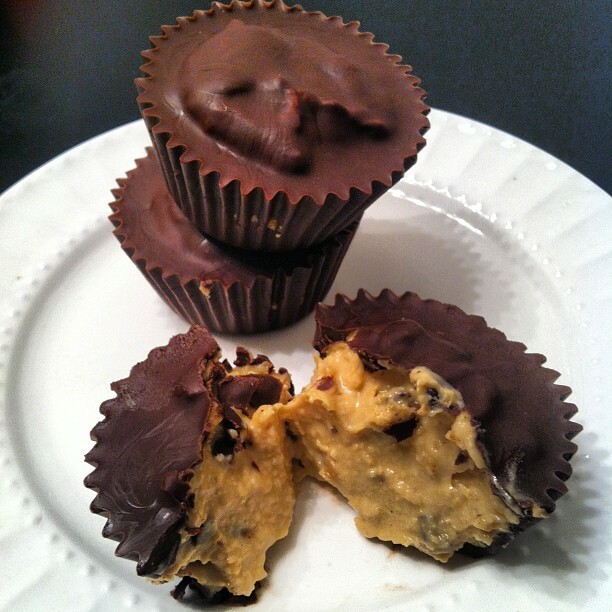 Take one tablespoon of peanut butter and evenly layer it on top of the chocolate. Put the cup back in the freezer for 20 minutes. Take the cup out of the freezer and add more chocolate paste to the top filing up the cup. Put the cup back in the freezer for 20 more minutes. Ahhh the anticipation!! !